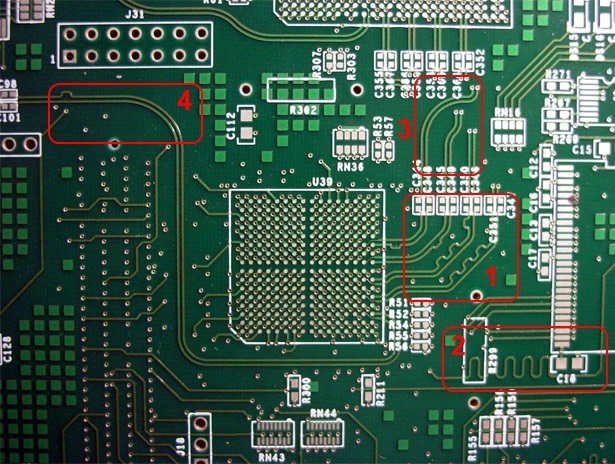 On some PCB designs, specific traces are routed in curious ways. This probably has to do with high frequency design considerations and general signal behavior that I am not familiar with. I highlighted 4 areas that qualify as unusual trace layout (from my perspective). What are those shapes supposed to achieve? How do designers come up with what pattern is required? Another example of wave shaped, antenna like routing. This is fairly rare. But obviously the designer deliberately avoided 45° traces. Why? Curves again and a single "pulse" within the trace. How can this have any significant effect? So what are the use cases and benefits of this techniques? I want to be able to take those into consideration when doing future PCB designs. 2) Delay (e.g. 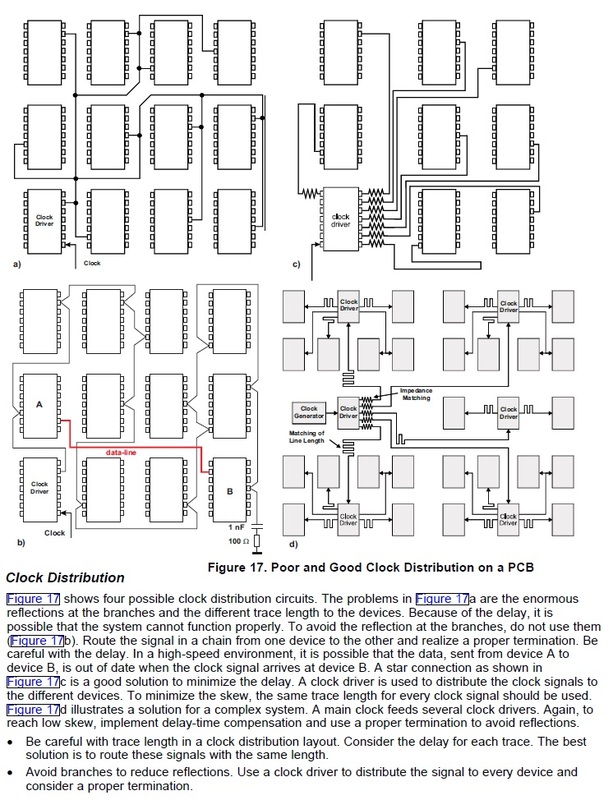 of clock for timing purposes)? 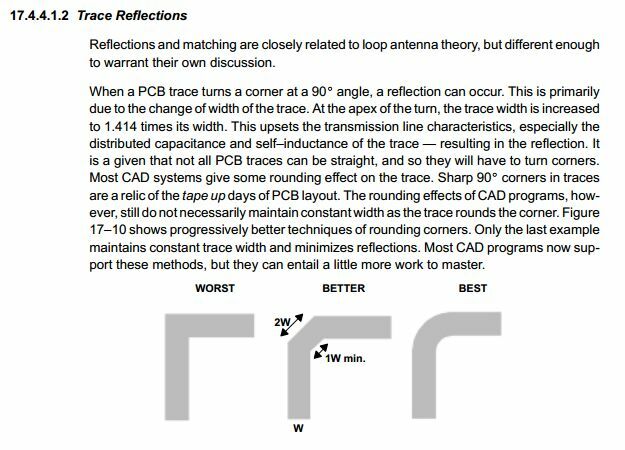 3) Reduce signal reflections due to discontinuities in trace width? 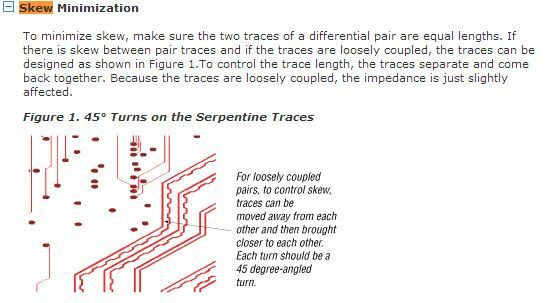 See also How should I lay out timing matched traces? Not the answer you're looking for? 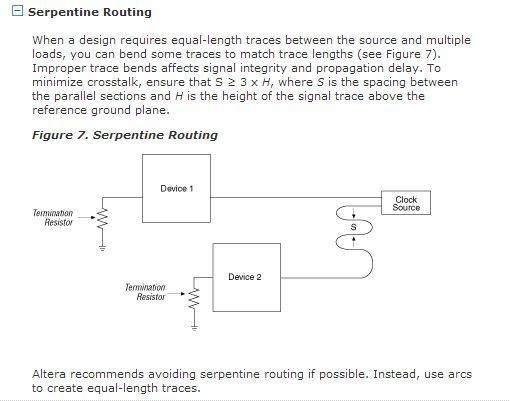 Browse other questions tagged pcb-design routing serpentine-trace or ask your own question. What is the purpose of curved PCB traces? What is this squiggly trace for? How should I lay out timing matched traces? How to join 3 traces is a PCB? Why we should avoid two multiple traces instead of one trace while take power trace?